1. Log in to your Podbean account and go to the 'Settings'->'Social Share' page. Then click the 'Connect to Facebook' or 'Connect to Twitter' button. We've clicked the 'Connect to Facebook' button this time. 2. Follow the instructions and connect your Podbean account to Facebook. 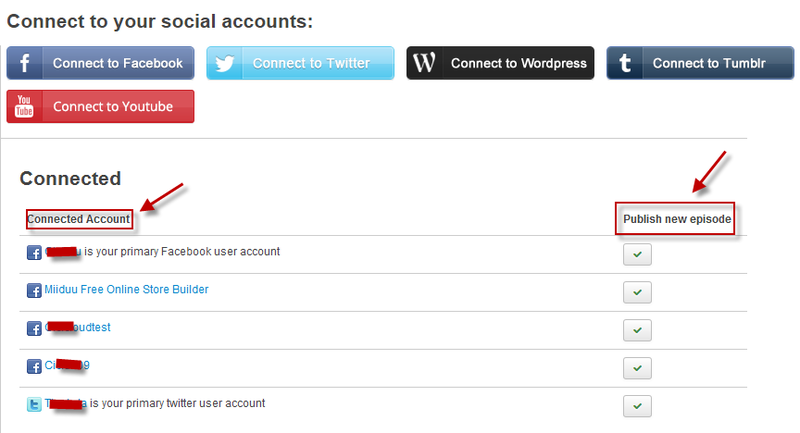 After the connection, the system will show the Facebook pages and Twitter accounts you've connected under the 'Connected Account' section. Now your post will be auto shared to there connected social media accounts every time you publish. 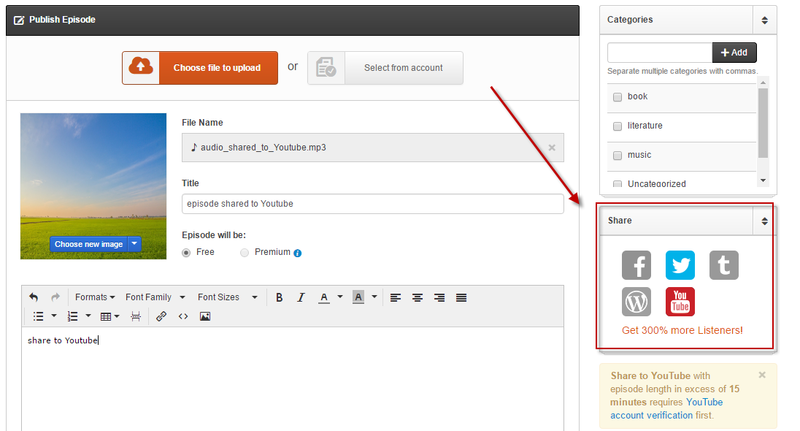 If you don't want something to be shared, you can click the button under the 'Publish new episode' section to un-check the selection. You can also customize the text displaying when sharing by clicking the pencil icon.